Giving “A Star is Born” the compliment of calling it the best movie of 2018 so far is an insult. It is easily the best movie that has come out in the last several years. 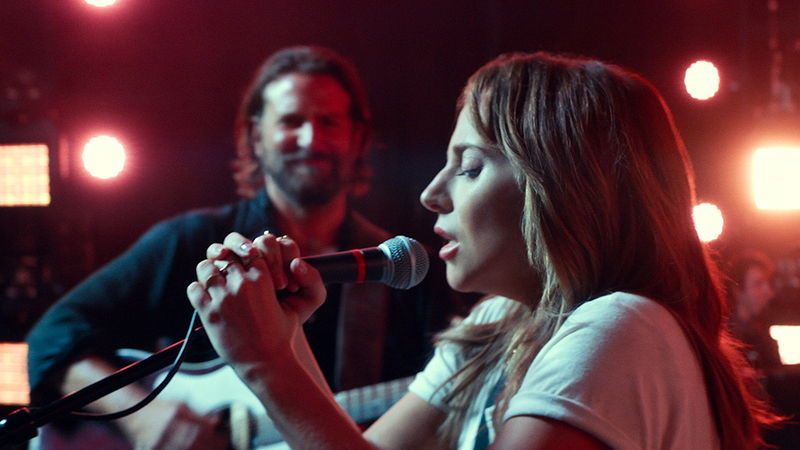 Ally (Lady Gaga), a waitress who is discovered moonlighting as a singer in a bar by musician Jackson Maine (Bradley Cooper), is thrusted into the spotlight when Maine invites her on stage during one of his concerts. In an age of proclamations about how every idea has been done, and especially in the case of films, there are no original ideas and everything has to be connected to preexisting artwork, “A Star is Born” is the example of how to do a movie in that case. Is it original? No, it is the fourth movie with the title “A Star is Born.” Is this anything that has not been seen before? Nope, the movie contains a lot of tropes from films of this genre. That being said, “A Star is Born” takes all of these things and either gives them an interesting spin or does the best possible job of utilizing them, and the end result in a phenomenal movie that might be filled with ideas that are not necessarily new, but that ultimately does not matter. The tropes of the genre are apparent. Maine is a musician who is an addict, in this case alcohol, and the movie focuses on two musicians as one rises in popularity and the other one’s career begins to falter, things like that. What “A Star is Born” does right is that it does them in a fresh enough way that it feels like the characters are propelling the tropes as opposed to the tropes propelling them. The entire story itself is a great indicator to how this worked. There are specific scenes or events that the audience is aware are going to happen from having a rudimentary knowledge of movies from this genre, but it is impossible to tell how any specific event will impact things until it happens. For example, the audience knows there will be some sort of drama between the two leads, but how that drama will affect their characters could go one of numerous directions. What really makes all of this work are the performances from Bradley Cooper and Lady Gaga, who both excel in their given fields and are spectacular surprises in the new talents they are taking on. Cooper gives a strong performance and Gaga is a talented singer per usual, but Cooper also has a powerful singing voice and Gaga has a lot of range as an actress. On top of this, the two actors have good chemistry and play off each other fluently, which helps make both their relationship and the way they react to the events of the movie believable. It is not just Cooper and Lady Gaga who have hidden talents which “A Star is Born” helped to reveal, but some of the other cast members do to. Comedians Dave Chappelle and Andrew Dice Clay also give strong performances, adding them to the ever growing list of comedians such as Steve Carrell and Ed Helms who have shown a side that is capable of dramatic work. scene where Maine invites Ally on stage to sing with him, which is a movie moment that risks being cliché, is incredible and mesmerizing due to how it is handled. “A Star is Born” has gotten critical acclaim; it will most likely be nominated for Oscars, it should definitely win some Oscars, it is unequivocally the best movie of 2018 and one of the best movies in recent memory.